Fish the 1000 Islands Region aboard the Karen Ann, a 27′ Penn Yan, equipped with all the latest in Lowrance electronics, sonar, GPS, Global Mapping, VHF radio, and cellular phone for your security and convenience. All the latest Shimano tackle and bait provided. A full day charter leaves the dock at 8:00 am and returns at 4:00 pm. 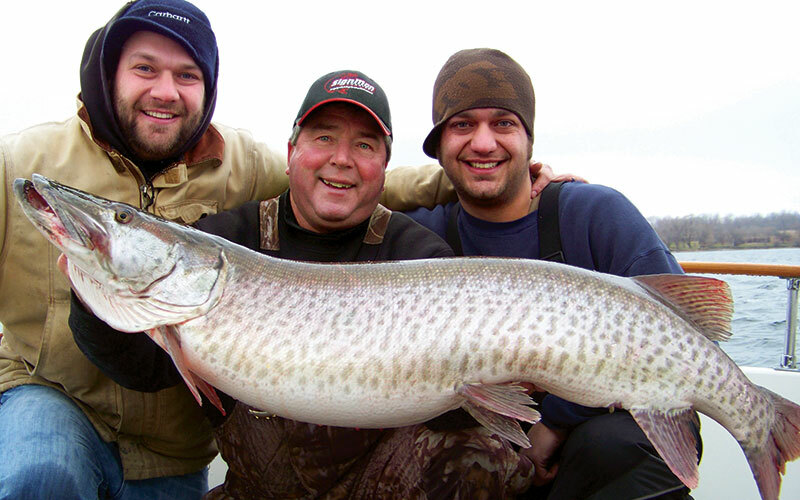 Most of our fishing is done in Canadian waters, so a Canadian fishing license is recommended. We can obtain your license (at a small additional expense) and have it on board when you arrive. 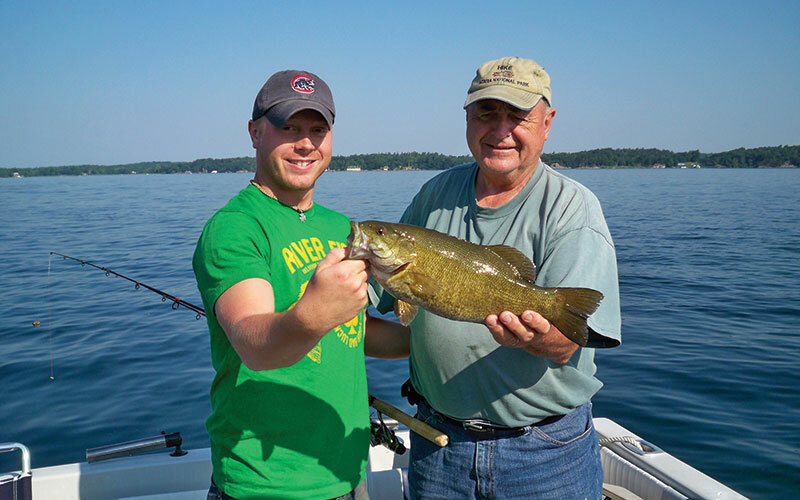 Your day aboard the Karen Ann may include catching a mighty Northern Pike, a lunker of a Bass, or it may even include a personalized tour of the Thousand Islands. We will custom tailor your day’s activities to whatever you prefer, whether it be fishing or cruising the majestic St. Lawrence River and exploring the islands and some of the most magnificent sights you’ve ever imagined.